From the cover: “They have wielded enormous financial power and dominated world politics for more than half a century. They have been appointed to the highest positions and have been elected as governors, congressmen, senators and presidents. They have shaped America’s past and, with the war in Iraq being led by their number-one son, they are, more critically than ever, shaping all our futures. Number-one bestselling author and investigative biographer Kitty Kelley has closely examined the lives of Jacqueline Onassis, Nancy Reagan, Frank Sinatra and the British royal family. Now the First Lady of unauthorized biography scrutinizes the first family of the United States — and the result is at once a rich and shocking history and a very human portrait of the world’s most powerful dynasty. 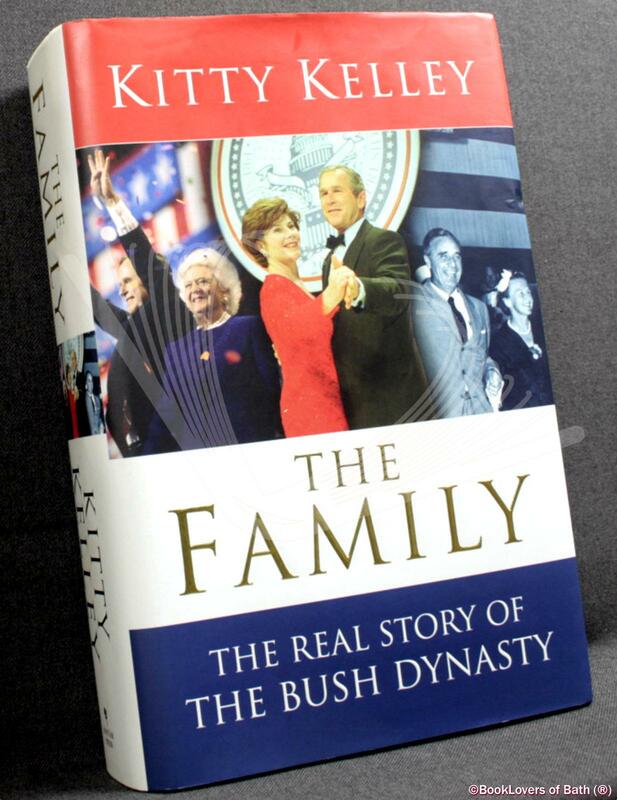 An important polemic on wealth, power, and class in America, The Family is rich in texture, probing in its psychological insight, revealing in its political and financial detail, and stunning in the patterns that emerge and expose the Bush dynasty as never before. Kitty Kelley takes us back to the origins of the family fortune in the Ohio steel industry at the turn of the last century, through the oil deals and international business associations that have maintained and increased their wealth over the past hundred years. The book leads us through Prescott Bush’s first entree into government at the state level in 1950s Connecticut, to George Bush senior’s long and winding road to the White House, to his son’s quick sweep into the same office. Along the way, we see the complex relationships the Bushes have had with the giants of the last century of American politics — Eisenhower, Nixon, Joseph McCarthy, Kissinger, Reagan, Clinton — as well as the often ruthless methods used to realize their goals. The Family delves behind the obsessively protected public image into the Bush family’s intimate private lives: the matriarchs, the mistresses, the marriages, the divorces, the jealousies, the hypocrisies, the golden children, and the black sheep. Size: 9½" x 6¼". Blue boards with Gilt titling to the Spine. [XXVIII] 705 pages.